This is just a Welcome and click through Screen. All you have to do here is read if you want and click Continue. If you find these pages helpful please Donate to help keep them up to date. A pic of the Welcome Screen. 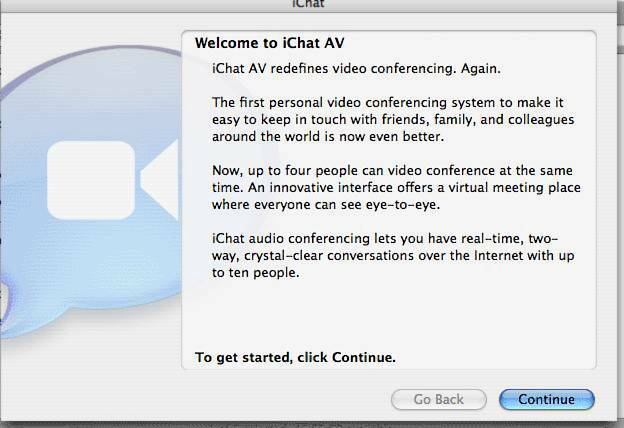 Tends to be the same for iChat 2, 3 and 4 only iChat 1 looks signiifcantly different as it does not do Video.